RaceDay Certified timers can offer RaceJoy’s tracking, cheer sending, and live results as an add-on service to races. Timers offering RaceJoy oversee the administration of RaceJoy, including map building, timing configurations, adjustments, and coordinating efforts and support with race organizers and users. Contact us, if you’d like to become a RaceJoy Certified Timer. We invite you to explore these helpful resources for you to support RaceJoy. Usage is dependent on promotion! A tutorial for map and timing configuration for RaceJoy maps. Provides step by step information for loading, configuring and certifying your course maps for RaceJoy tracking. To share this video, go to YouTube by clicking here and clicking the “Share” button on the bottom righthand side of the video player. Learn how to add custom geo positioned cheer points to have audio messages automatically delivered to participants as they reach certain points along the course. 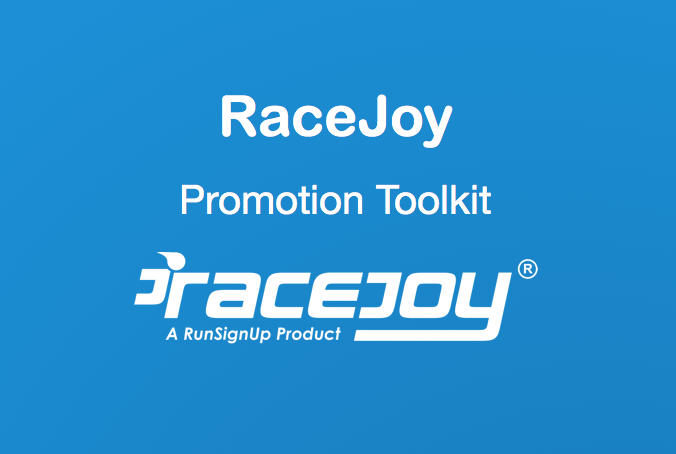 Watch this video to learn more about RaceJoy and how to get the most out of the mobile race day experience for race organizers and users. A short five minute video on RaceJoy that covers the key features for participants and their supporting family and friends and for the race to get the most out of RaceJoy’s race day technology. This is an overview of how RaceJoy addresses the unique needs for tracking relay teams. Sponsors have the opportunity to reach a captivated audience that encompasses participants and spectators both on site and in remote locations. 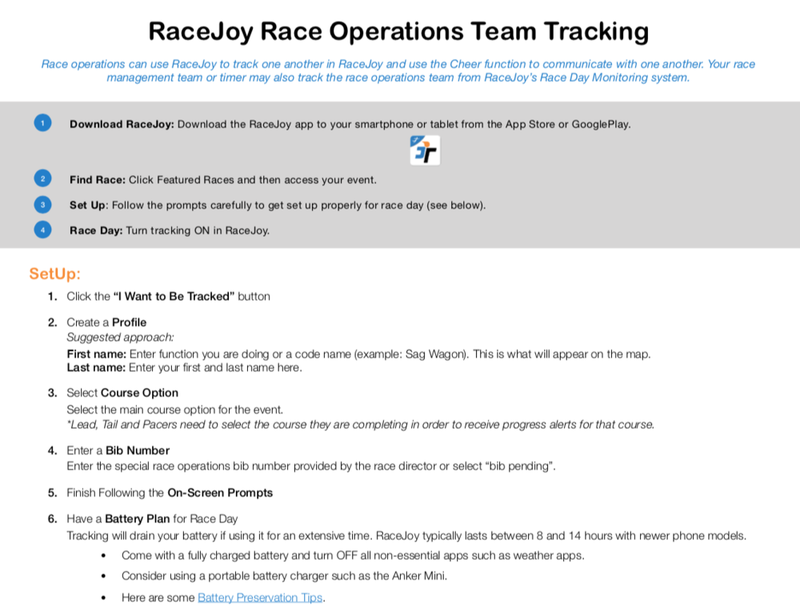 This is a how to overview for relay teams using RaceJoy for live GPS tracking on race day. Download this race operations how-to guide to get set up for race day to track and communicate with one another. 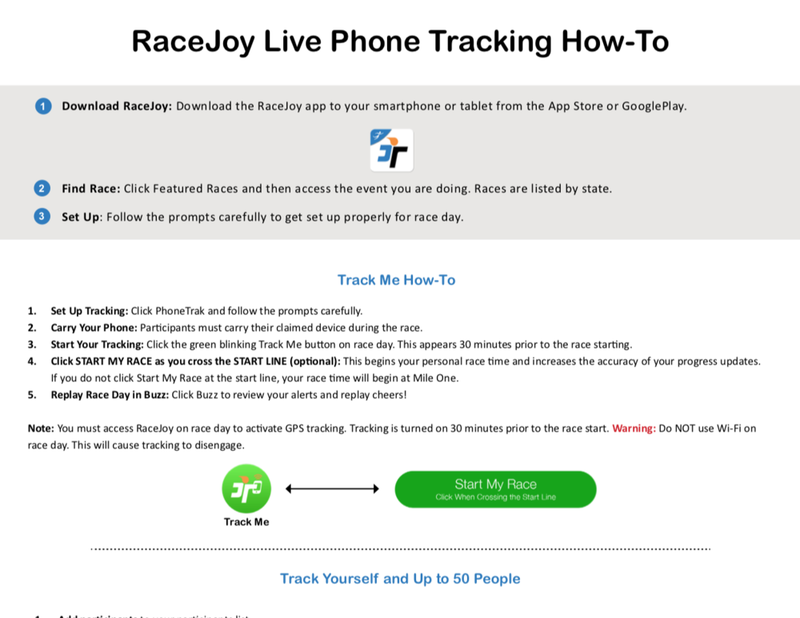 Download this document for an easy-to-follow how-to for RaceJoy’s live tracking. This is a quick guide to optimize battery life while using RaceJoy on race day. A tutorial for loading custom race logos and linkable banner ads. Provides step by step information for sizing and loading these custom options in RaceJoy. Check back soon for a new how-to guide on customizing your event’s info and course map detail pages, adding and customizing schedule items and FAQs, and updating your GPS progress alerts. Check back for a new how-to guide on providing sponsor recognition in various areas within the app including linkable banner ads, custom content areas, map points at key areas in town, and at mile markers along the course. If you are looking for something not provided here or need specific materials for your races, please feel free to request resources by sending us an email to info@racejoy.com.